The Serbian Orthodox Church is one of the autocephalous Eastern Orthodox Christian Churches. It is the second-oldest Slavic Orthodox Church in the world. The Eastern Orthodox Church in Bulgaria has deep roots, extending back to the 5th and 7th centuries when the Slavs and the Bulgars, respectively, adopted Byzantine Christianity in the period of the First Bulgarian Empire (681-1018). 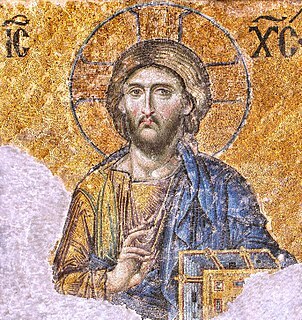 Prior to this official conversion, Christianity had spread to the region during Roman and early Byzantine times. After the 1054 Great Schism, the Church of Bulgaria remained in communion with the Ecumenical Patriarchate of Constantinople and other Eastern Orthodox Churches. It bears the distinction of being the oldest Slavic Christian Church in the Orthodox communion. The Eastern Orthodoxy in Europe constitutes the second largest Christian denomination. European Eastern Orthodox Christians are predominantly present in Eastern and Southeastern Europe, and they are also significantly represented in diaspora throughout the Continent. The term Eastern Orthodox Europe is informally used to describe the predominantly Eastern Orthodox countries of Eastern Europe as well as Greece and Cyprus and one Caucasus state - Georgia. These include Belarus, Bulgaria, Moldova, Montenegro, North Macedonia, Romania, Russia, Serbia, and Ukraine. The Macedonian Apostolic Vicariate of the Bulgarians, informally Macedonia of the Bulgarians, was the third second missionary, pre-diocesan jurisdiction of the Bulgarian Greek Catholic Church sui iuris.